Call us today to make an appointment to visit our showroom! Our number is Mobile 0404347370 or 0280037334. By Appointment Only. Parking: There is 1 hour free parking at the centre, entry is via The Appian Way, Bankstown. 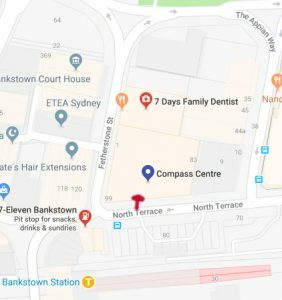 We are located opposite Bankstown station, on the outside of the Compass Centre. We stock a lot of the styles at our showroom, there may be some styles we don’t have but can be ordered in. If there was a specific style of dress you wanted to try, you can contact us to check if we have it before coming. 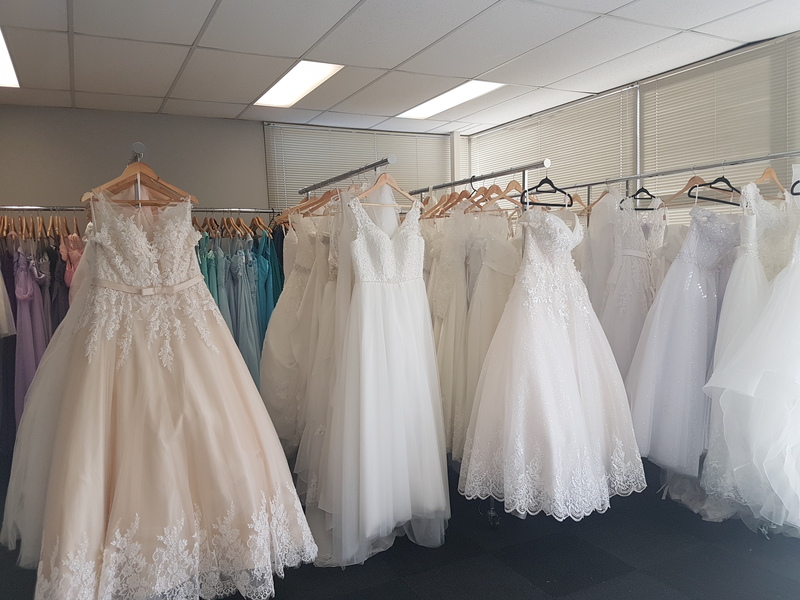 If you are outside NSW, Australia we offer exclusive discounts on wedding gowns for customers that cannot come to our showroom to try on dresses. You can also order colour swatches of the bridesmaid dresses to see the colour in person. Here is a link to order colour swatches: weddingoutlet.com.au/colour-swatches/. 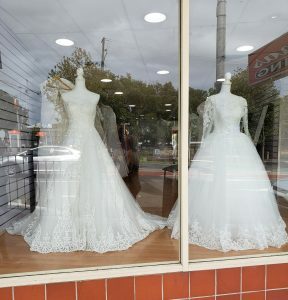 Design your own Dress – We can also custom make dresses, so if you have tried on a dress that you love elsewhere and can’t afford the huge price tag. Please email us some photos and we can give you a quote to make it. The price will be similar to the ones you see on our website. We will ask you questions about the types of materials you want used, so you are in control on how we make the dress for you. We also email you photos of the finished dress to ensure you are 100% happy with the dress before we post it to you.